We were able to give them a completely maintenance free custom trellis. Their trellis is made out of aluminum so that it passed all of the City of Raleigh fire codes. 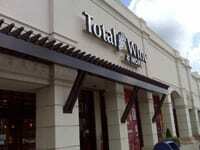 Since the trellis is not made from wood, Total Wine will not have to worry about painting this trellis every year. 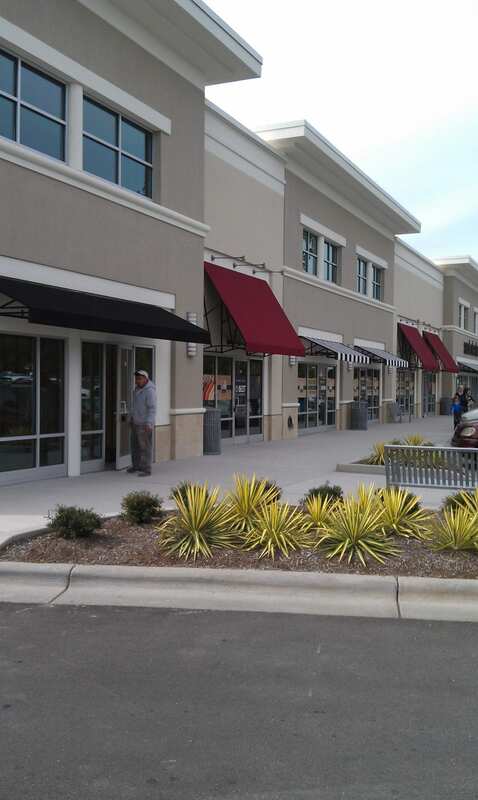 We were able to provide street front retail fabric awnings designed to fit commercial builders needs. Custom colors were used, as well as custom made black and white stripes. Frames and mounting hardware were finished with a durable powder coat to match color theme. Also, since the mounting surfaces included different planes, the frames were custom built to match the building surface. | Custom Canvas Works | All Rights Reserved.